Have I mentioned we love Legos? In a snap of a finger. In the blink of an eye. Time warp. Time flies. Didn’t see it coming. Like a speeding bullet. Faster than the speed of light. Voilà. Use whatever cliché you want but one month is over, 11 more to go. Just like that February is here once more. Shown above are original Lego stuffs. 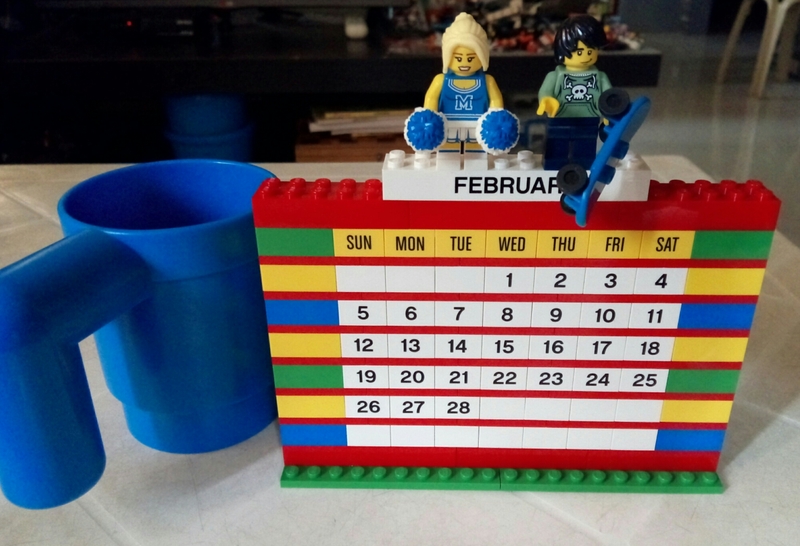 These are dishwasher-safe Lego mug and calendar Marcus got from her aunt in the US who happens to be celebrating her birthday today. Happy birthday pards, enjoy your day!